How to setup hardware for Point of Sale software | A blog about smart POS software for independent small businesses. For years now we have provided publicly accessible advice on how to setup computer hardware to operate with our software. This advice is regularly updated as the hardware and operating system requirements of our software change. This advice, Advice sheet B, in the support area of our website, is especially useful for local technicians in preparing hardware they have sold to our customers … if they read it. Unfortunately, too often we find that local technicians think their way is best. This always results in our clients calling us to clean up the non-standard system setup mess left behind. We publish our advice to help save time and money. Local technicians who do not follow our free advice end up costing their (and our) customers more than they should. We supplement our written advice with free telephone advice in advance of an installation. Those who the up this opportunity benefit. Since partnering with the Australian Sporting Goods Association we have started working with new suppliers on sharing data between retailers and suppliers. This work leverages our considerable work in the EDI space across a range of marketplaces. Being able to offer easy access to EDI standards trading around supply, ordering and return of inventory makes it easier to connect retailers and their suppliers. Given that ASGA suppliers operate across multiple retail channels, we are able to add value to existing customers as well as to those from the new channel opened up for us as a result of the ASGA relationship. Retailers can receive and quickly process electronic invoices and can send to suppliers sales data as well as electronic orders. This data exchange can reduce paperwork, streamline supply and strengthen retailer / supplier relationships. For retailers, a significant benefit can be a reduction in floor and back office stock with no impact on sales. For suppliers, the benefit can be certainty around orders from retailers. Tower Systems has implemented such electronic links in several marketplaces with excellent success. The company can introduce ASGA members to suppliers and retailers already using these facilities to explore how they may benefit the ASGA family. We offer a range of facilities in our Point of Sale software to help the offsite (or absent) retail business owner to stay in touch with and leverage control over their retail business. Event reporting by text message or email. The business owner can tag events to be reported. This information is provided real time. End of shift results reporting by text or email, at the time of the end of the shift. Accessing all of the software facilities remotely, from anywhere in the world. Accessing business reports provided by the business through our PDF reporting facilities. These and other facilities make it easier for retail business owners who are not on-site at their businesses to access business data and keep a watchful eye on business operations as reflected in the business data. We have instances where real-time alerts have resulted in employee theft being caught and the financial impact to the business being capped. Too often, retailers do not achieve the most they could from their Point of Sale software due to a lack of training of those using the software. This can make the technology investment wasteful for the business. Here at Tower Systems we are committed to providing regular professional training opportunities for our customers and their employees. We do this through a range of opportunities including our much-appreciated online training workshops. Completely free to our Tower AdvantageTM customers, we host the workshops through there world-renowned WebEx platform and fund a toll free call for audio content. Online training is a wonderful way to learn more about our software. The result is improved productivity and better business outcomes. Bookings can be made at our online training portal. As part of the two day get-together of everyone on our help desk and support teams in Melbourne this week, there was plenty of fun on the go-kart circuit and in playing laser tag. These activities let these people who work together but from different states and in different roles get to know each other on a non work related level. The result is better connections between our team members across the states. This will further enhance communication and customers will benefit as a consequence of this. In between the go-karting, laser-tagging and meals and drinks, there was plenty of discussion about clients, our software and our processes. This is where the real work of a couple of days networking is done. We are glad to have invested the time and money in bringing all of our installation, training and support teams together. It’s another investment by Tower Systems which defines us. It underscores our point of difference and refreshes our commitment to this. As with all of our pricing, we are transparent on hardware prices. This provides our current and future customers with certainty and transparency around our pricing. With the Australian dollar at a near eight week high at the moment, our pricing approach means that our customers can be certain that what we quote today will hold for the agreed period of the quote. The other factor which feed stable pricing from us is that we deal with brand name hardware: HP, Kyocera, Epson. These international brand companies take appropriate steps to enable them to deliver consistent pricing through periods of currency fluctuation. While we are a software company first and foremost, we understand that retailers who prefer to purchase hardware from us will want to do so with transparency and consistency. We are loving working with HP All-in-One POS unit. It’s easy to setup, a breeze to support and offers clean access at the retail sales register. After looking around at POS hardware for years and trying many devices, our experience in recent months with the HP All-in-One POS unit has been wonderful. All of our help desk team has been POS support certified, meaning we can offer a deeper level of assistance to our customers and there y access the long term on site warranty coverage. This unit is excellent for just about any retail situation we are finding. It has a 15-inch diagonal resistive touchscreen display, magnetic stripe reader, and two-line customer facing display. The durable steel chassis will withstand the prolonged wear and tear typical in retail. The touchscreen display is liquid- and dust-resistant. Use fingertips, fingernails, a stylus or credit card edge – anything at all and it works a treat. While we are primarily a software company, we are often asked for recommendations and do often supply hardware with our software. We happily recommend the HP All-inOne POS unit for its elegance, simplicity and ideal service of many retail requirements. It hits technology at the counter beautifully. Except for one of our team members who was off sick today, we had almost a full house when we hosted a national support / help desk team meeting today – following the installation team meeting earlier. The fourteen support / help desk participants discussed support processes and a range of other topics focussed on delivering the best possible customer service experience for our customers. Getting the team together like this is invaluable in ensuring a cohesive team and ensuring that everyone is knowledgeable of our processes and commitments. The group face to face meeting also enabled people to share stories and experiences from their specific roles … we all learn from these stories. Everyone in Tower Systems involved in the installation of new Point of Sale software systems is in Melbourne today for a meeting to discuss installation processes, our software, customer feedback and other information flowing from their considerable on site installation and training work. This will be a valuable day sharing training and reinforcing alignment among our team members. An important investment in our view. With more book retailers joining our Point of Sale software user community we have a bigger pool of suggestions and ideas for software enhancements,. We are embracing these opportunities and developing some sweet changes to our software for book retailers. What is interesting about the book retail enhancements is that they will also assist in a couple of other retail channels in which we serve. We like this. The detail of the book related enhancements will be announced to our customers in advance of us publishing more details here. We do this to retain the advantage of delivering some enhancements which offer us a leadership opportunity. We have been thrilled with the quality of feedback from our book retailer customers and the suggestions they have made. Being businesses under challenge from online retailers and mobile technology, they need to innovate to drive relevance and performance. We are glad to be on then journey with them. Tower Systems is pleased to announce the appointment of Mark Larbey as Auckland based Business Development Manager for our wholly owned subsidiary Tower Systems International (NZ) Limited. Mark joins us at an exciting time in our development in New Zealand, in the midst of a surge in interest in our Point of Sale software. he brings a wonderful skill set to the role and is sure to play a key role in our expansion across the Tasman. We took our time looking for someone to spearhead our sales and marketing in New Zealand. We needed to find someone with excellent software and small business credentials, someone local to New Zealand who can professionally and energetically represent us up and down the country. Over the first few months Mark will undergo intensive training in our software so that it can professionally represent what we offer to retailers in New Zealand. We are helping News Limited in one state on a local data / newsagency marketing project which aims to help newsagents increase sales. By harvesting data from our newsagency software in a form which News Limited can use, both parties win from extra marketing effort. We often work with newspaper publishers and newsagents who want to grow their respective businesses by sharing business data cultivated by our newsagency software. With more than 1,760 newsagents using our software we are in the best position to help on projects such as this. The loyalty facilities in our Point of Sale software are helping retailers drive excellent business results. We know this because they tell us. Their feedback is terrific. Through out loyalty facilities we help retailers track sales and accrue points for use by shoppers. Beyond the mechanics of the sale and tracking results, we help retailers make the most of the opportunity by outlining the broader business benefits of the data accrued by our software. This is where the real value is in any loyalty system. We educate our customers on how to achieve a measurable kick in sales – not through tricks or spike generating gimmicks but through genuine shopper engagement. In addition to excellent loyalty marketing facilities, we offer terrific Gift Card facilities. These, too, use professionally designed and manufactured gift cards which help drive retail sales. Beyond the software, beyond the traditional help desk support, tower Systems helps its retail community to leverage business building facilities for the benefit of the business, its employees and its shoppers. 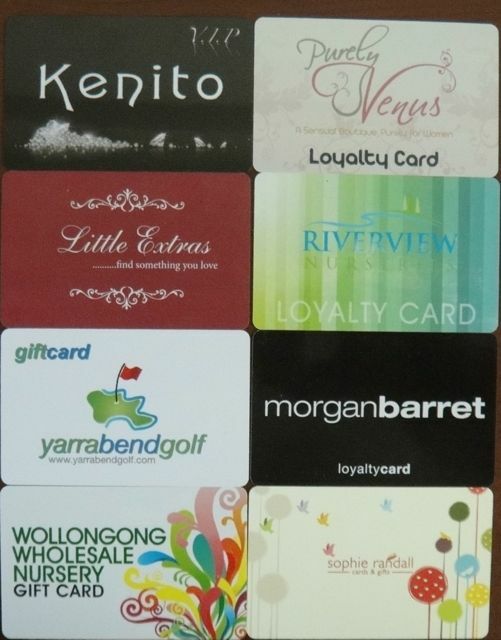 in the photo is a very small selection of the gift and loyalty cards we have helped our retailers develop and implement. A key function in our software for retailers is the tracking of business for the day and reporting numbers for the end of the shift. Our software manages this well and our training drives consistency among those using it. We track end of shift numbers here at Tower Systems for help desk call traffic and engagement. We see this as a vital assessment and management tool for our customer service offering. Every day, at the end of the day, we look at call traffic, closure rates and other KPIs to understand how business has gone for the day. The numbers are vital to developing a view of how we have performed in our customer inbound contact. They are also vital to team management and pursuing the best possible customer service experience for our customers. The specific numbers are inbound calls, closed calls, closed calls by team members, outstanding issues, feedback from the day. This data is shared with our senior management team to keep them abreast of our customer service performance. This data is laid against regular outbound after the event call quality checks as we undersea d it is one thing to close calls and another to answer questions to the satisfaction of the caller. A structured of end of day, analysing numbers, for a help desk is the mark of a professional customer service organisation in our view. It shows that we take our role seriously and invest time and money in measuring our performance. This end of shift data analysis of call traffic numbers, coupled with our outbound calls to customers to assess call quality and usefulness, if evidence of our Tower AdvantageTM in action. What is covered in Point of Sale software support? Software support is vitally important for any business management software. This is especially true for Point of Sale software which is mission critical for any retail business. Retailers and retail employees need to know that they can get the support they need when they need it. Software updates — Released throughout the period of your support coverage, usually at the rate of 3 major updates a year, usually more. Updates include many user requested enhancements as well as industry compliance requirements. Help Desk Support — Access friendly and knowledgeable IT professionals via our 6 days a week; Monday to Friday 7 am to 6 pm AEST and Saturday 7:30 am to 3 pm. After Hours Support — After hours support access for urgent matters to our mobile team of friendly knowledgeable IT professionals. Email support — less urgent questions can be emailed or lodged through the Tower website and these are processed daily by a Tower expert and responses sent. Online training workshops. Usually four a week. Live. 100% interactive. Free to supported users. Remote access support — Using smart remote access facilities Tower Systems can log into your system and conduct research into any issue and deliver a solution without the need for an on-site visit. User Meetings — Access to over 60 face to face user meetings a year, hosted across Australia allowing you to influence the software with your suggestions and requests. Weekly Email Newsletter and advice — This contains software tips, news about updates and general information useful to our users. Advice Sheets — Access to over 100 comprehensive advice sheets, delivering you step by step instructions in getting the most from your Retailer Software. Training videos. More than 30 available on key software functions. Backup Checks — Have one of our support professionals review your data to ensure that your data backups are working correctly. This provides piece of mind in the unlikely event of hardware failure. Theft Checks — Have one of our Theft Specialists review your data to determine if you are a victim of staff theft. Business Analysis Service — Send in your data and have it reviewed by our executive team. We will tell you where the high and low points are in your business, and give you strategies to increase sales, and therefore, profit. Benchmarking Data — Having the largest user base allows us to collate data and provide our community with benchmarking data. Not all software companies are the same. Tower Systems pays attention to support because the company operates retail businesses and understands, first-hand, the importance of excellent software support coverage. We regularly review the mix of retail businesses in our beta test program. This keeps the testing process fresh and ensures that our development team is faced with new challenges through this vital test process for our Point of Sale software. A robust and fresh beta test program is vital to any software product, especially software in the retail space. Two or three beta test sites are long term (15 to 20 year) customers. We have a group of mid term (3 to 6 years) and another group of new (up to 1 year) sites in the beta mix as well. It is these last two groups where we mix things up to bring fresh eyes to the beta test process. Our beta program is part of a broader Quality Assurance program for each release of our Point of Sale software. This program ensures that we deliver quality software to retail businesses using our software. There is no rush, no urgency. The focus, always, is on quality. We are grateful to the commitment of our beta partners in helping us maintain focus on software quality. 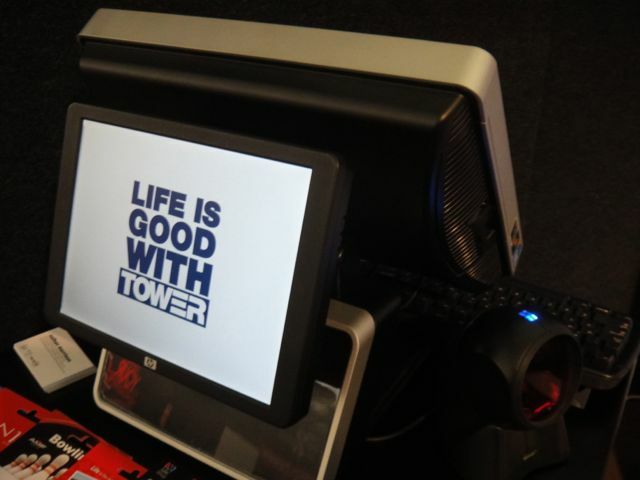 The quality of our software is one factor which attracts retailers to partner with Tower Systems. Jewellers using our Point of Sale software continue to play an important role in driving the professionalism of our software – especially high end jewellers. Operating at a different retail level, with lower volume and higher end transaction values, many of our jeweller customers have helped us finesse our receipts, product labels and other customer touch points in our software. What we have learnt from our jeweller customers has improved the software we sell into all marketplaces. It has also helped us craft better jeweller software. Better jeweller software is a key reason for strong jeweller software sales for us. The other area where jewellers have helped us business better software is in the area of reporting. Their business performance reporting needs are different to what we have seed from more high volume retailers but equally useful to these retailers. Developing and selling software across multiple marketplaces helps us create better software in each marketplace. Retailers are loving the buy now pay later offer from Flexirent which can be used to pay for our system. While we are agnostic about how our customers finance their system purchase, there is no doubt that the Flexirent offers flexibility at a time in the retail calendar which retailers like. This is why we have been happy to let our customers and sales prospects know about the opportunity. Retailers purchasing our Point of Sale software can defer payment until 2012, freeing up cash-flow until after the Christmas trading period. In the meantime, our retail management solution can be installed before Christmas so that the business can get the most from the Christmas trading opportunity. Flexibility in payment timing and structure is important to retailers as is easy of accessing finance. We are bringing together our Point of Sale software installation training team to Melbourne to meet up and work with our help desk team. Combined, these teams are our customer service front line. Over a couple of days they will participate in group training, in-the-field feedback and team building. It will be an important two days of development not only for the individuals but for the team as well. While taking our installation and training team out of service for two days has a cost to our installation schedule, the result is more valuable for the long term. Tower Systems is committed to resourcing and training its entire team to deliver professional customer service to our retail customers with consistency. Every time we get interstate based team members together we benefit … and our customers benefit. Tower Systems management and admin will step into the breach to ensure continuity of access for our customers over the two days. The new Danks EDI link released for our Garden Centre and Nursery Point of Sale software will help these retailers improve retail business efficiency, bring structure to inventory ordering and drive consistency to inventory management. The Danks link is another in a long line of EDI links we have delivered through our Point of Sale software. It strengthens our EDI credentials and promotes Tower Systems to a new field of retailers. What we have learnt in our ranks link work is informing our discussions and work with suppliers in other marketplaces where EDI integration is not as advanced as the latest from Danks. The Danks experience has a wonderful pay-off in sectors outside the Garden Centre / Nursery channel. Tower AdvantageTM Retailers using our software can access the Danks link without additional costs. Access to regular professional training for retailers and retail employees is vital to the success achieved with any Point of Sale software. Too often. retailers do not achieve the most they could from their POS software due to a lack of training of those using the software. This can make the tech ology investment wasteful for the business. Our continuing and consistent online training program is in addition to an excellent range of advice sheets and other training opportunities provided to users of our Point of Sale software. Years ago we lead in our respective marketplaces by launching a live office-based help desk service for our customers in addition to the then well established after-hours service. Today is like every other Saturday, except for major holidays, we are offering a full service help desk, accessible from local numbers around Australia and in New Zealand. As we do every so often we have a senior management person in the office checking in on how the service is used. We feel that it is important that we do understand how all of our business touch points are used so that we can ensure they are appropriately resourced. Listening to the type of calls coming in today, there is no doubt that office-based support on a Saturday is important to our customers and that it is appreciated. Being slower than a week day there is time to explore some questions which fall outside what is usually the responsibility of our help desk. We are pleased to offer our type of Saturday support as a genuine point of difference. 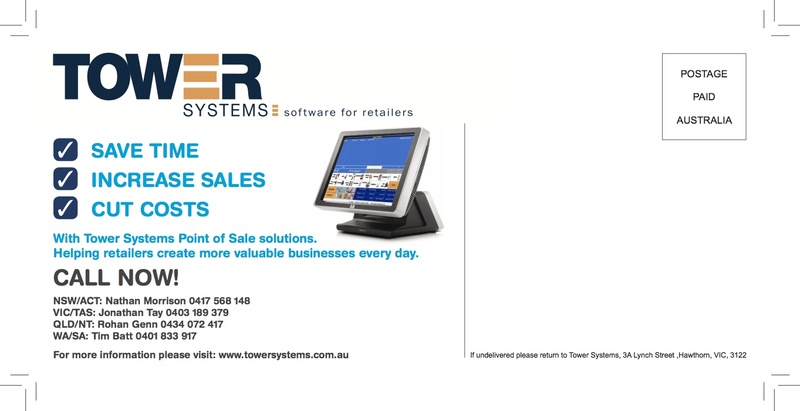 We have an experienced team selling and representing our Point of Sale software in the Australian marketplace. Each team member has excellent technical, business and sales skills. The work with sales prospects to understand the need and develop quotations which best serve the need. Our sales team can deliver on site live demonstrations of our software as well as remote demonstrations. They will offer transparent pricing outlined in a professional quote document. This will be backed with documented terms and conditions which are the cornerstone of a professional relationship. In addition to our sales team, we have skilled local technical resources to manage installation and training. The size, experience and commitment of our sales team reflects well on the size, strength and commitment of our company. It was good to see reports overnight of an improvement in retail performance as tracked by the ABS. The ABS report reflects what we are seeing in sales data shared by some of our customers across several retail sectors. The September quarter was strong and early October numbers continue this trend. We are seeing a mirroring of the retail sales results in the investment retailers are making in technology. We are significantly ahead of where we were this time last year and ahead on budget. Our retailers are able to easily compare their performance this year with last through a suite of reports and reporting tools in our software. This type of comparison is vital to the success of their business as the most important competitor any retailer has is themselves.